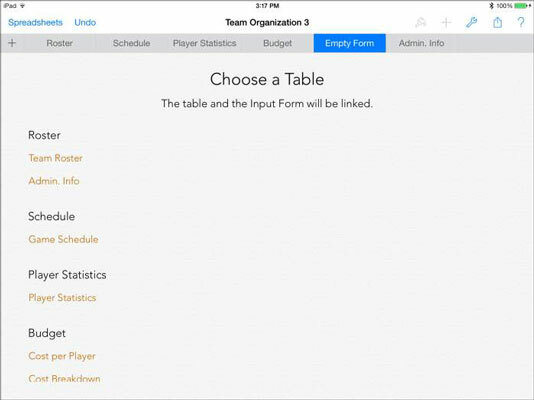 A form is a user-friendly way to provide input to a single row of a spreadsheet in Numbers for iPad. Because a form interacts with a table, you must create a table in your spreadsheet before you can create an associated form. 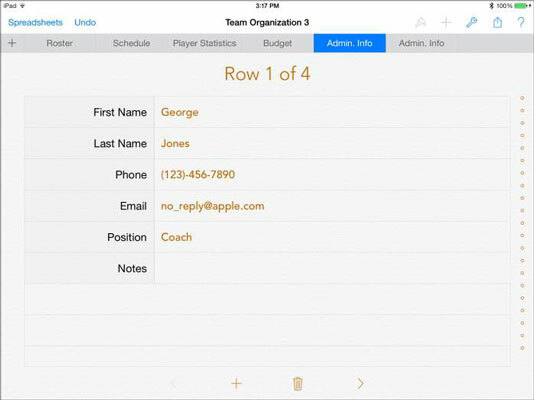 To create a form, tap the plus sign (+) tab on the left end of the row of tabs. You’re asked whether you want to create a new sheet or a form, as shown in the figure. 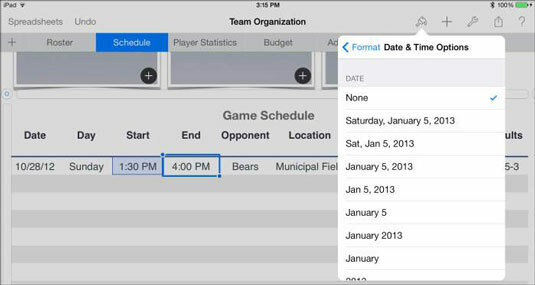 Tap New Form, and you see a screen similar to the one shown in this figure, which uses the Team Organization template for the example. You see a list of all the sheets and all the tables on them. Choose the one that the form will be used with. This form uses the Admin Info table. Every form is associated with only one table, and every table can be associated with only one form (though it doesn’t have to be associated with any forms). The form is then created automatically, as shown in this figure. The labels for the columns on the form are drawn from the labels of the columns on the tables. You don’t have to label the columns on your tables, but it makes creating forms and calculations much easier if you do. You can use the tab to go to the form and enter data or browse it. The four buttons at the bottom of a form let you (from left to right) go to the previous record (row), add a new row, delete the current row, or go to the next row. You can delete a form by tapping the form’s tab and then tapping Delete, but you can’t duplicate a form as you can duplicate a sheet tab.